After almost two months away from the broadcast booth, Fox's Gus Johnson returns to the soccer beat to call today's second leg in the Champions League semifinal between Bayern Munich and Barcelona. Bayern takes a 4-0 lead back to the Camp Nou and with Barcelona's pedigree and attacking prowess, fireworks are expected. (Note: The game is airing on FX today.) In yesterday's other semi, Real Madrid almost completed a remarkable comeback from a 4-1 deficit against Borussia Dortmund. If there's any game that would be full of action and a better fit for Johnson's commentary style, this would be it. Gus started well enough for a rookie soccer commentator earlier this year, but as the games rolled on there were more obvious weaknesses in his delivery throughout the course of the 90 minutes. Mistakes were made on goal calls, he disappeared for long stretches, and he leaned heavily on his analyst to provide any context to the game. To be honest, Johnson is well within his rights to struggle since he's basically learning on the job. In fairness, Gus also showed his trademark excitement and some potential to make you believe this just might possibly work in the long run. If anything, soccer fans have been upset with Fox for treating Champions League telecasts as lab experiments and not putting Johnson on lesser watched games while he learns the craft. Gus hasn't been helped by a revolving door of analysts and former Arsenal player Ian Wright will once again get the call for today's game. Johnson has had two months away from the spotlight and he's likely been working at improving in that length of time. Make no mistake – even though it's early days, this will be the most important stretch in Fox's grand experiment with Gus Johnson. Gus will not only call today's game, but also an EPL game this weekend. Then, he will announce two cup finals – the FA Cup Final on May 11th and the Champions League Final on May 25th. The Champions League Final in particular is the biggest yearly game in world soccer and Johnson needs to be ready for the biggest stage of them all. A few mistakes on that telecast will be magnified tenfold compared to an EPL game in February. A large section of passionate soccer fans are already skeptical of Johnson and Fox after his first handful of games and growing impatient. Perhaps no fanbase is as particular about their announcers as the soccer community – whether it's Ian Darke or Martin Tyler or Dave O'Brien. If Gus Johnson does not show improvement throughout the next month of games, Fox risks losing those fans permanently moving forward. 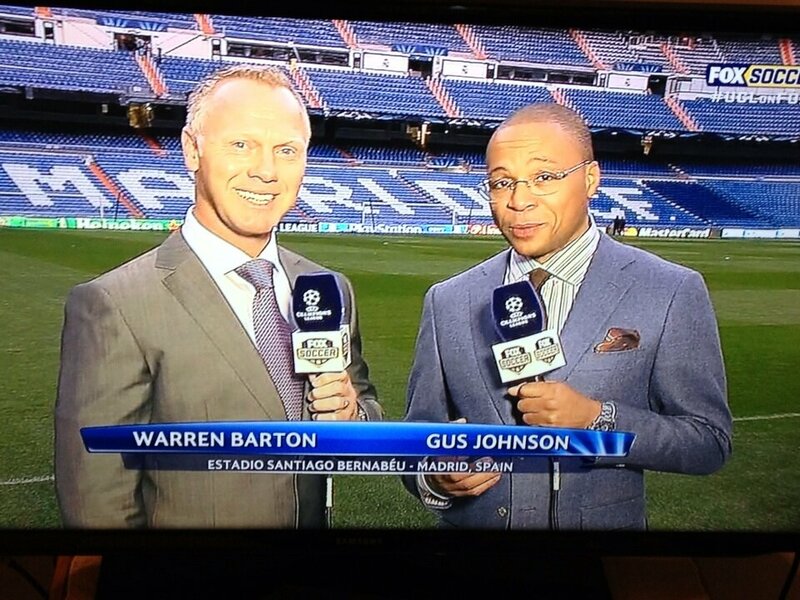 The most important month for Gus Johnson and Fox Soccer begins today in Barcelona.